Jane Austen is one of the most widely read writers in English literature with her famous romantic novels including Pride and Prejudice, Sense and Sensibility, Mansfield Park and Emma. 2013 was the 200 year anniversary of the publishing of Pride and Prejudice, a book that continues to sell 100,000 copies each year. Born in the Hampshire village of Steventon (1775). Studied in Reading, Southampton and Oxford (1783) - Oxford University Summer School is holding a class entitled “Jane Austen: Her Life and Times” for two weeks in the summer of 2013. Moved to Bath living in a number of regency townhouses. Died in Winchester (1817). Laid to rest at Winchester Cathedral which contains an illustrated exhibition of the story of her life. Bath had a big impact on her writing with the settings for Northanger Abbey and Persuasion come from this period. The Derbyshire town of Bakewell, where Austen is rumored to have stayed at the local hotel The Rutland Arms while revising the final chapters of Pride and Prejudice, is considered to be the inspiration behind Lambton. Mr. Darcy’s grand home, Pemberley, is based on Chatsworth House in Derbyshire. Chatsworth House itself is mentioned as one of the estates Elizabeth Bennett visits before arriving at Pemberley. The most recent film adaptation of Pride and Prejudice – the 2005 production with Kiera Knightly and Matthew Macfadyen – used Chatsworth to create Pemberly. In addition the film used Basildon Park in Berkshire as the location for Mr. Darcy and Elizabeth’s first meeting at “Netherfield”, while Longbourne, the residence of the Bennett family, was shot at Groombridge Place in Kent. Bath city has a Jane Austen Centre that tells stories of Jane’s experiences in the city and how they connect to her novels. Bath also hosts an annual Jane Austen Festival usually held in September. 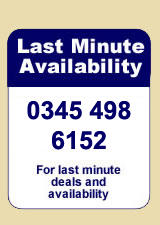 To find the latest availability and prices we would recommend calling 0844 847 1143 for cottages, apartments or lodges.